Students wishing to request specific documents or certificates can do so through our Service Desk. The standard registration letter can be self generated through your my.tcd.ie portal. Should you need this letter stamped you can present at the Service Desk and we are happy to do so. We also provide a number of application forms for documents or record change requests. Applications can be submitted to the Service Desk team or left in the Academic Registry post box at the entrance to the Academic Registry. Please note that if your form requires you to present photo ID this must be done in person - photocopies of ID cannot be accepted. All forms submitted to the Academic Registry Service Desk must be completed in full by the applicant in advance. On presentation of a valid TCD student ID card, the Service Desk will verify, sign and stamp the completed application. The details provided in the application form must match the current details held by the University on your student record. Forms requesting information on course modules, hours of attendance or course content cannot be certified by the Academic Registry Service Desk. Students should also note that prospective dates for graduation cannot be certified or stated on any documents until a student has formally accepted the invitation to their graduation ceremony, or in the case of postgraduate research students have made application for graduation.. Registration letter - this can be self generated in your my.tcd.ie portal. Proof of fees paid- this can be self generated in your my.tcd.ie portal. The Academic Registry Service Desk can provide letters confirming course registration students as well as letters detailing registration history for graduates of the University. If you are on campus we recommend you print the letter from my.tcd.ie to save time. However if you need a letter emailed or posted to a certain address you can contact us at academic.registry@tcd.ie. A minimum of 1 working day is required with letters requested before the close of business available after 13:00 the following working day. Students/graduates can request letters by contacting the Academic Registry or by submitting our online letter request form. Please provide as many details as possible, including your full name, student number (if applicable) and details of how letter is to be provided (e.g. by email, to a postal address, collection in person). Letter requests submitted online or by email will not begin processing until our staff have the opportunity to receive and respond to your request. Please note that due to data protection requirements Academic Registry staff can only accept letter requests from the student/graduate personally. Requests cannot be made by parents/guardians or other family members. When requesting a letter the student/graduate can give permission for their letter to be collected by a third party who may then collect on presentation of valid photo ID. This letter is in the format required by the INIS and constitutes proof of both student registration and fees paid. Please note that the permanent home address and term address printed on your letter reflects what you have entered on your my.tcd.ie portal. Students are advised to confirm that this is correct in advance of requesting their letter as any errors will require the student to submit a a new request and a minimum of 1 working day additional processing time. The INIS letter requires a minimum of 1 working day's notice to issue and students should allow sufficient time between requesting the documents and receiving their appointment with the INIS. This letter does not constitute a detailed records of your grades - further information on this is available on our Transcripts page. Students have the ability to print receipts for any fees paid from the academic year 2012/13 onwards from the “My Finance” section of their my.tcd.ie portal. The Academic Registry can provide copies of these receipts if you require a stamped & signed version, if you require receipts prior to 2012/13 or if you are a graduate. Please note that these receipts can only be requested by the student and are in the same format as those available on the my.tcd.ie portal. All degree parchments are presented in Latin to candidates for degrees at Commencements. Employers and other institutions will sometimes request an English translation of your degree parchment - this is provided by the Academic Registry on request from the graduate. All translations issued on A4 University letterhead by the Academic Registry are certified and endorsed with an official University stamp. Translations can also be sent by email in PDF format. Please allow a minimum of 3 to 5 working days to process your request. All awards other than degrees are originally presented in English by the University and do not require a translation. A student's personal details are recorded at the point of admission to Trinity College Dublin as that given on the CAO application or direct entry application form, as appropriate. A student may apply to have their name, gender, date of birth or nationality changed or corrected by completing the Change of Personal Details Form (268 KB). This form should be completed by the student and presented in person to the Academic Registry Service Desk with supporting documentation for approval. Any change or correction of the student's personal details must be supported by official documentation such as: valid passport, birth certificate, marriage certificate, certificate of name change by deed poll, gender recognition certificate, or other documentation deemed acceptable by the Service Desk staff and Service Desk Manager. The documentation must correspond exactly with the documented change request. 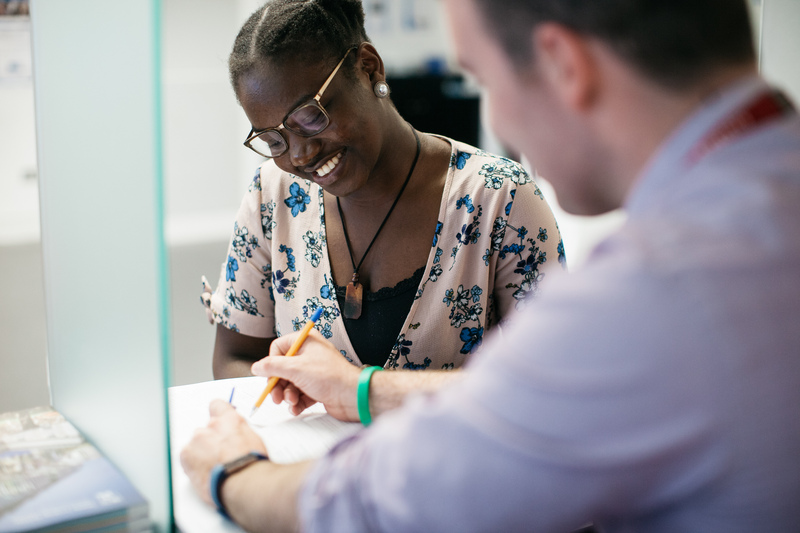 The Academic Registry is committed to supporting the diverse student community in the University and providing an efficient, inclusive and professional service experience. As part of the Trinity Gender Identity and Gender Expression Policy (204 KB)the Academic Registry supports transgender and otherwise gender-transitioning students in updating their personal details and student record to reflect their correct name/gender. 1) Students with official documentation. Transgender students who have official documentation supporting their requested change (e.g. passport/deed poll/gender recognition certificate) can avail of the Standard Change of Personal Details Form (268KB). No additional steps are needed. 2) Students without official documentation. Transgender students without access to documentation confirming their requested change can submit the Standard Change of Personal Details Form AND an additional Change of Personal Details (Declaration Form) (208KB). The declaration form is completed in conjunction with the student's personal tutor/ the Postgraduate Advisory Service/ the Senior Tutor's office as appropriate. This confirms that the student consents to the regulations outlined in relation to changes to student records and that they understand they will be registered in these details only. Students submitting the declaration form agree to submit documentation in future when it becomes available. Student records will be updated within 24 hours. Students who wish to replace their student card can do so free of charge by returning the original to the Service Desk, Academic Registry. Service staff in the Academic Registry have received customer service, diversity, and trans specific training and as such the Service Desk can respond to any query from LGBT students sensitively. Should you wish to discuss any change request before coming to the Service Desk please contact us through the ASK AR button in your my.tcd.ie portal, or academic.registry@tcd.ie. We are also available to talk to you at +353 896 4500.